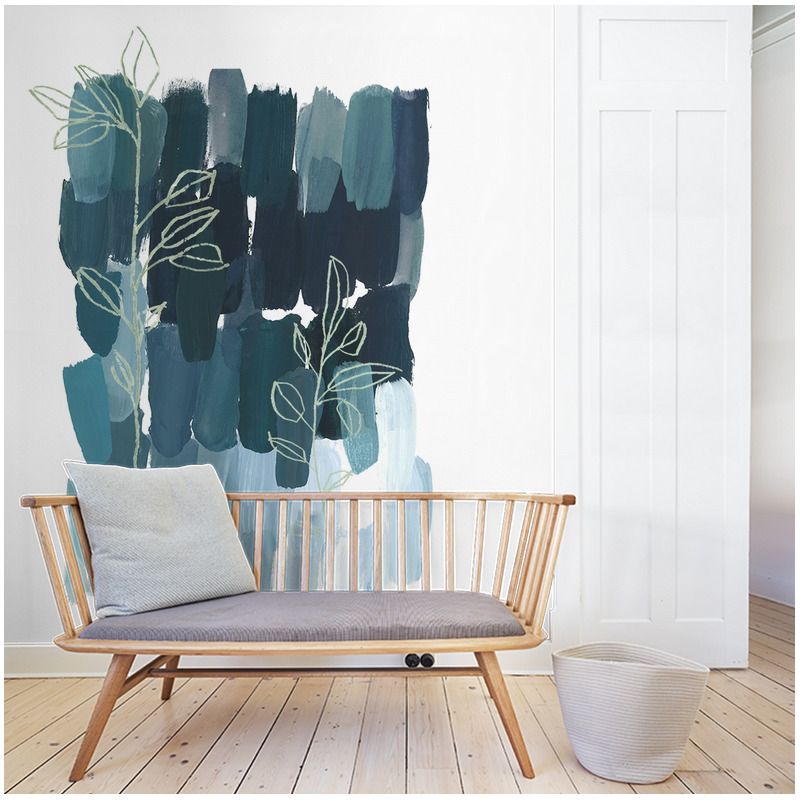 Woody plants against a background of dynamic paintings. A wallpaper designed as a work of art. 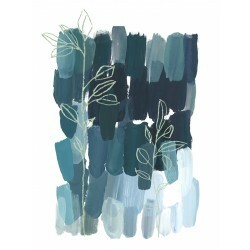 Decorative panel in a shades of deep blue-green, for a singular vision of the forest. Here we find the finesse of Véronique Villaret's line with her woody plants against the background of touches of dynamic paintings. A wallpaper designed as a work of art.